Most of the time, especially, in a country like India, the eldest child of the family is expected to take up the responsibility of the family, which includes, facing struggles and challenges too. If you are a girl, you are made to face more challenges. See how a determined young girl child makes it to TCS, in spite of all challenges of life! From an early age, she knew that she had to take responsibility of the whole of her family in the near future. Hard work and dedication defines her. The ever-smiling lady who, in spite of all challenges she had to face from her childhood days, today stands as an example for thousands of girls who aspire to make their family proud. Introducing Miss. 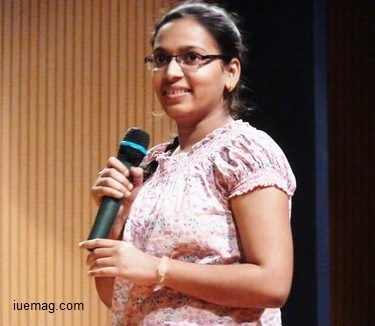 Vaishali Bhopi, pursuing her final year of engineering at Bharati Vidyapeeth College Of Engineering, Mumbai. Vaishali’s life had its own ups and downs, but her determination led her to stand as a source of inspiration for the youth of today. Born as the first girl child in a family, where her father earned less money to handle situations at home, Vaishali understood the importance of money. She was inspired to work harder seeing her father struggle. It was hard for her to study in a school where the mode of communication had to only be English and since she wouldn’t be able to speak in English, she never spoke to anyone at all. She would enjoy her day only in her school bus where she did not have restrictions to speak in a particular language. However, as she grew, she slowly learned to communicate in English. She was also active in sports activities, where she had won a few prizes too. Painting was something that caught her interest and it eventually became her hobby. Her scores were average because of which her teachers influenced her friends to not to stay in touch with her. She was depressed of such incidences, which led to failure in her studies. She was shattered when she heard her results, but, her father stood as the pillar of support and inspired her to do better. She considered this situation as a challenge and began to work harder after which she secured a first class in her 7th grade. She slowly got back and secured high scores in her schooling. Years passed, her college life had begun and she knew she had to be more responsible. She faced challenges in studying computer languages, but, she always remembered a quote she read, “Everything happens for a reason” and this made her work hard every time she had to face challenges. She happened to be one of the toppers of the class consistently. There was a time when one of her lecturers criticized her that she did not deserve to be a topper and she, once again took it as a challenge, and proved to get high scores in the subject he taught. She became the center of attraction amongst all her classmates now. That was when she got another opportunity to prove herself, when her sister happened to share about a conference she attended, which inspired her. Vaishali immediately got connected to the person, who was connected to her sister and met him. That day became the ‘life changing day’ she says, “I got a golden opportunity to meet Dr. Surendra Iyer sir, who is a gold medalist in physiotherapy and he had served thousands of people. He introduce me to the amazing platform called i3”. She happens to define the platform that gave her a new life, “i3- influence inspire impact, are not just three words, but a life driven platform. The platform which teaches you to live your life with pride. The platform that has change thousands of life, including mine. The platform gives each and every experience of life. Before joining i3, I was a person with no dreams with me. I never ever had a big dream to do something. But, when I entered the platform, the first dream I took is to make my parents proud and I am very happy today, that my parents are happy for what I have become”. Vaishali started performing during her course at i3, where she happened to impact thousands of children from government schools, donated meals to the needy, inspired youngsters to work harder. She also shares, “We not only executed social-projects to impact the society, but, were given great opportunities to meet people from different fields, who had achieved a lot, at a very young age”. The platform groomed her to an extent that a lot of students reached out to her and connecting to her for guidance. 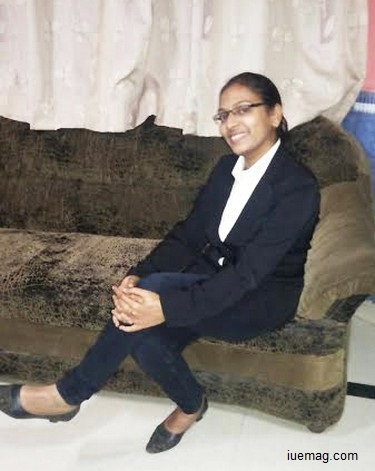 She also moved on to clear an interview, to be recruited at the Tata Consultancy Services. “I was mentally not prepared of clearing the first round, but, fortunately I happened to clear. I was not prepared for the next round and I happened to share this with my mentor from i3, who inspired me telling I could do it. She said she believed in me. These words encouraged me to attend the next round of the interview process, which I confidently attempted and shockingly, with not much preparation, I cleared the next rounds too! It all happened because of the belief my mentor had in me, more than I had, in myself. I still remember that the projects I executed during i3 helped me build my confidence. The projects also added a lot of value to my CV, because of which I could get recruited amidst a very few from my college, who got recruited. I thank i3 from the bottom of my heart for creating a better version of myself ”. Vaishali’s continues to inspire more youth, as an ambassador of i3. She has been invited to various schools and colleges to inspire the youth towards growth in their lives. Grabbing every opportunity that came her way made her achieve heights. The belief, with passion, effort and determination can help one achieve anything possible in life, is the lesson that such stories teach us! Any facts, figures or references stated here are made by the author & don't reflect the endorsement of iU at all times unless otherwise drafted by official staff at iU. This article was first published here on 12th December 2015.